Aluminum Wheel Stripping.com Recondition Aluminum Wheels. Strip Aluminum Wheels: Aluminum Wheel Coating Removal Products and Aluminum Wheel Stripping Service, Available, Including: Aluminum Wheel Powder Coating Remover and Aluminum Wheel Clear Coat Remover, Strip Aluminum Wheels to Recondition and Restore . 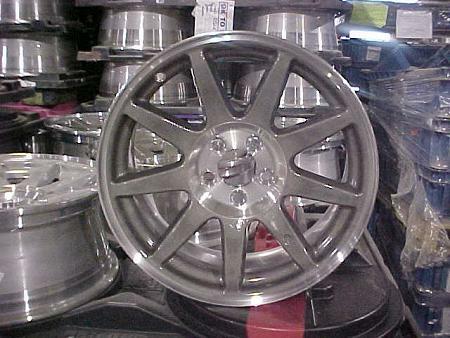 Aluminum Wheel Stripped in MILES #8648 Aluminum Powder Coat Stripper for Stripping Aluminum Wheels & Stripping Clear Coat from Aluminum Wheels: Eco-Friendly, Aluminum Wheel Stripping Solutions to Strip Aluminum Wheels. 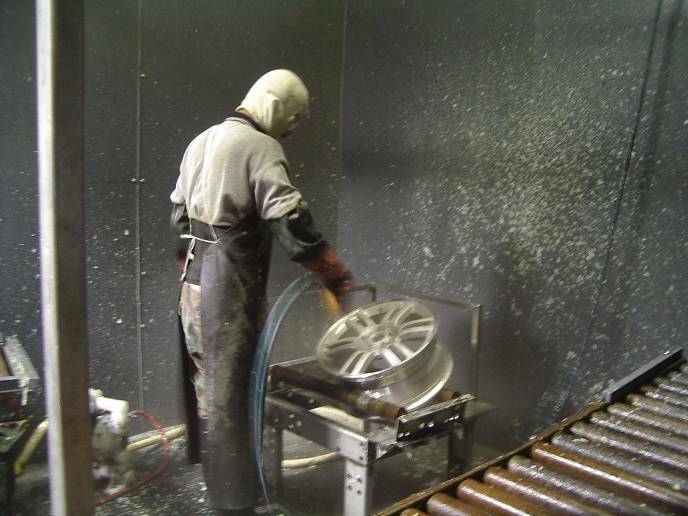 Aluminum Wheel Paint Stripping products and Services/Aluminum Alloy Wheel Powder Coating Stripper to Recycle Costly Paint Rework. Aluminum Wheel Paint Stripper to Strip Powder and Remove Clear Coating from Aluminum Wheels & Steel Parts, Hooks, Racks & Fixtures in minutes. Aluminum Wheel Stripping / How To: Strip Aluminum Wheels, Procedure Demonstrates: Aluminum Wheel Stripped in MILES #8648. * A stainless steel or polypropylene tank to immerse the aluminum wheel/s. * A tank mixer for agitation, Note: Never use air agitation, chemical oxidation will occur which decreases chemical bath life. * MILES Chemical Solutions #8648 Aluminum Stripping Solution Concentrate. 2) Add 50% MILES Chemical Solutions #8648 and 50% water. 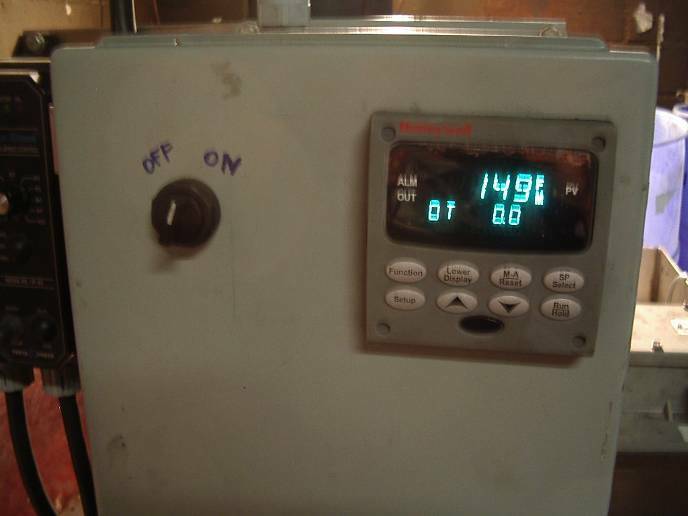 3) Agitate solution with mixer or circulation pump. Note: Never agitate with direct-air! Oxidation, decreases chemical bath life. 4) Heat solution up to to 150F. 5) Soak wheels for 1.5 hours, while maintaining 150 Degrees F. Note: Utilize a tank lid and polypropylene floating evaporation inhibitor balls to reduce solution loss and replenishment requirements and to extend chemical bath life. 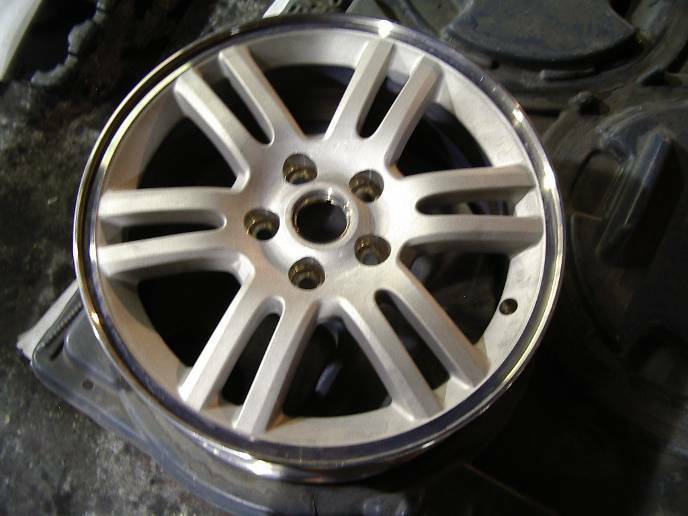 After stripping, the aluminum alloy wheels have a pre-paint, original bright surface appearance and are ready to return to the powder coating process. 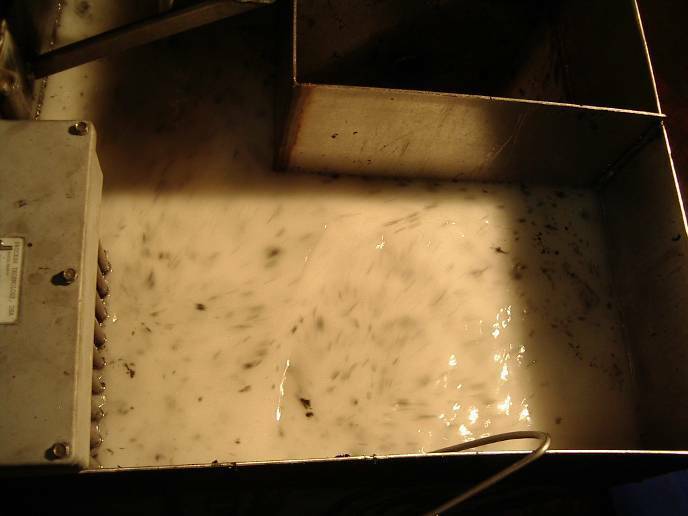 The de-laminated coating sludge can be easily removed from the strip tank with a 75- mesh in-line, stainless basket strainer, skimmer or screen parts basket filter. MILES Chemical Solutions #8648 coating removal process is normally implemented in Paint Finishing and Powder Coating facilities, additionally at many Industrial-Coating Removal Service & Stripping Service Contractors worldwide. 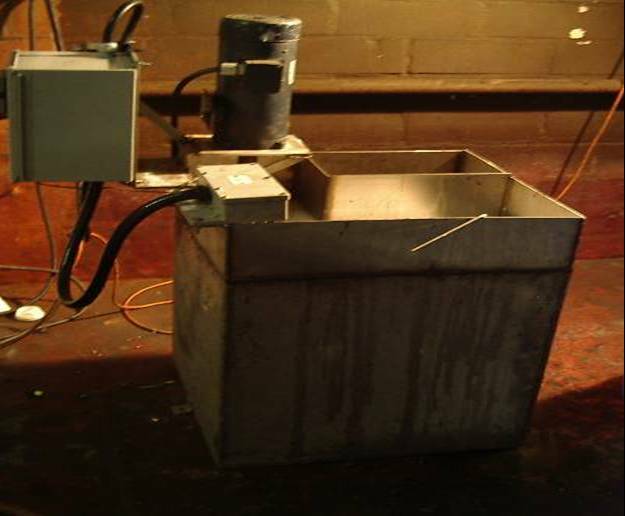 This is an easy to implement process in an Industrial Environment, such as in Paint, Finishing and Powder Coating Facilities and at Coating Removal Service Providers. This aluminum wheel stripping process was not developed for individual consumer use. MILES#8649 a thickened brush-on product used at room - temperature to remove clear coat and TGIC Powder in 1-3 hours, European and Japanese wheels require overnight application to strip aluminum wheels. The loose coating can be removed with a spark-less scraper, disposable cloth or steel wool pads, and then rinse with soap and water, dry and reprocessed through the paint or powder coating. Aluminum Powder Coat Stripper for Stripping Aluminum Wheels, including: Metal Stripper : Automotive Stripper & Aircraft Stripper. Achem,Inc. / Miles Chemical Solutions | Copyright © 1999 [Miles Chemical Solutions] | All rights reserved. Miles Chemical Solutions | Copyright © 1999 [Miles Chemical Solutions] | All rights reserved.